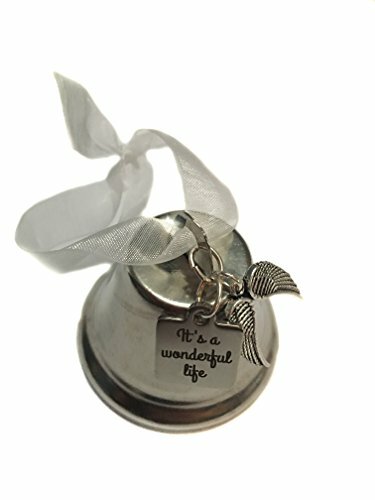 This angel wing bell is inspired by the "It's A Wonderful Life" quote, "Every time a bell rings, an angel gets it's wings." The bell itself is 2" high, and has a double pewter angel wing charm, and a stainless steel 3/4" x 7/8" or 19mm x 22mm "It's a wonderful life" square charm. If you have any questions about this product by Angel Essentials, contact us by completing and submitting the form below. If you are looking for a specif part number, please include it with your message.